Several LSTM members asked if I would start teaching more lessons on the podcast and I thought it was a great idea! Each week I’m going to release a brief lesson (about 5 minutes or so) on a skill that will help you along your self-employment journey. Lots of people reach out to me who want to work for themselves, but have no idea what they want to do. They don’t know what they are passionate about. They don’t have a sense of purpose. I tell them to practice being curious. Not only can anyone do it, you are doing it all the time and don’t even know it! 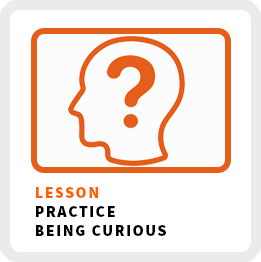 Do you know how to recognize when you are being curious? Any time your brain asks a question, that’s curiosity in action! Your brain has a natural craving for information. It’s constantly looking for answers and has a desire to always know more. When you can’t get your mind off of something, whether good or bad. The monkey chatter in your head is so loud, you can’t think about anything else. When can’t stop talking about something with others about a subject that really interests you. Sometimes you might even feel physical sensations like a warmth in your chest as your heart rate picks up when you react to seeing, hearing, smelling, touching or taste something. You might even feel a bit flush. Curiosity expresses itself as excitement too. When an experience makes you feel like a kid again or something captures your attention, that’s being curious! You’ve heard me recommend this before, but keep a daily journal and write down your most recurring thoughts, questions and interests. Writing down your curiosities, helps you bring deeper awareness to them. Keep a note on your phone or use a paper journal. Use whatever method is convenient for you to create a habit for capturing your ideas and curiosities. As you capture your thoughts and ideas, look for patterns. What are your writing about most frequently? What causes you want to ask more questions or to know more? 4) Be honest with yourself. Why do you think you are thinking about a particular experience, subject or event over and over again? Don’t judge your curiosities. They aren’t right or wrong. Explore them. 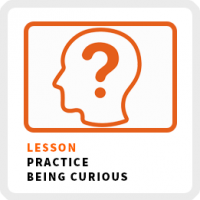 To spark your curiosity habit, try answering these 5 questions. 1) How do you spend your free time? 2) What were your favorite childhood activities? 3) What gets you so excited you can’t stop talking about it? 4) What problem or problems do you want to solve, whether big or small? 5) What would your family, friends and colleagues say is your passion?